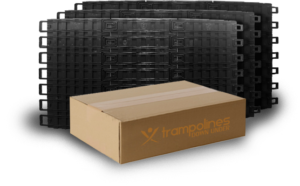 Save hundreds with this high quality trampoline bundle. Don’t just install any trampoline in the ground. 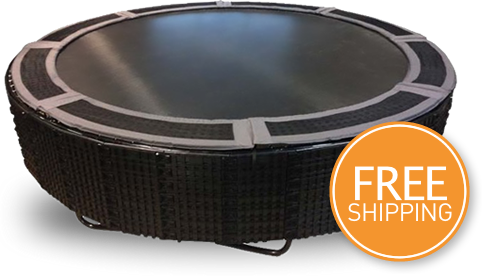 Install the only trampoline that was built specifically for in-ground use, with vented pads and retaining wall system. Protect your investment, and your children, by installing your trampoline in-ground with this high quality retaining wall kit. This trampoline was built to last. With heavy duty materials and a high quality safety pad, this is a great investment to share with the family. 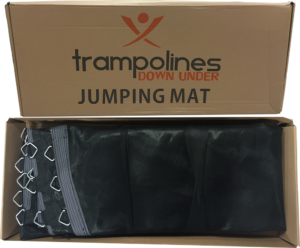 Replace your trampoline jumping mat with one that provides great bounce and is made of the highest quality materials. This replacement safety pad is made of the best materials and vented to reduce noise and increase the life of the safety pad. Various sizes available to choose from. Durable trampoline springs with superior bounce. This set of 5 is a convenient way to replace missing or broken springs. 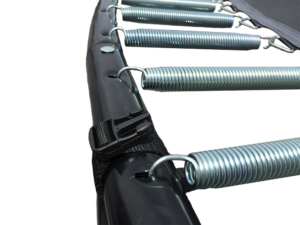 This full set of galvanized trampoline springs are heavy duty, rust resistant, provide impressive bounce, and a great investment.